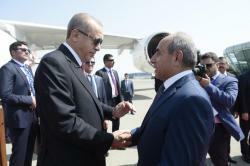 President of the Republic of Turkey Recep Tayyip Erdogan has arrived in the Republic of Azerbaijan for an official visit. 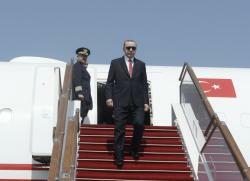 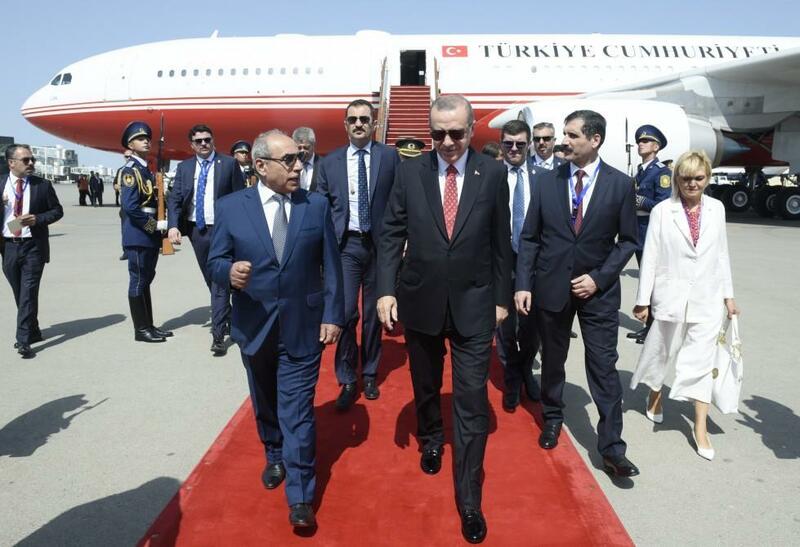 A guard of honor was arranged for the Turkish President at the Heydar Aliyev International Airport decorated with the national flags of the two countries. 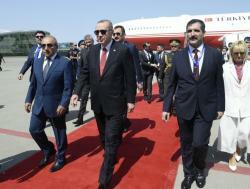 Turkish President Recep Tayyip Erdogan was welcomed by Azerbaijani first Deputy Prime Minister Yagub Eyyubov, Deputy Foreign Minister Ramiz Hasanov and other officials.